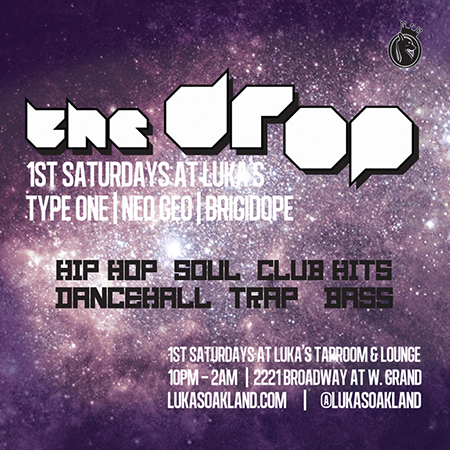 The Drop is a monthly event taking place at Luka’s Taproom & Lounge in Oakland every 1st Saturday of the month. 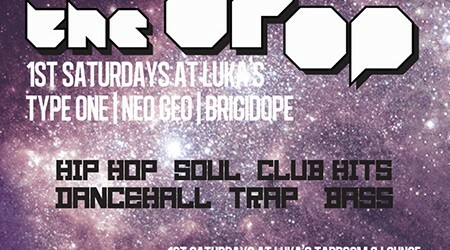 Resident DJs Brigidope, NeoGeo, and Type One drop all styles of music ranging from hip hop to reggae, and club classics to future bass favorites. The last few nights of The Drop have been our best yet, so we early arrival is highly recommended….